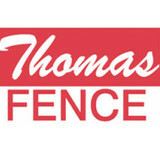 Homeowners and businesses in NWA have been depending on Thomas Fence for 23 years. We maintain an A+ rating with the Better Business Bureau and have a stack of testimonials from thrilled customers. For over forty years, Fort Smith's Fence Man has provided beauty, security, and value with quality, well-constructed, and affordable fences. 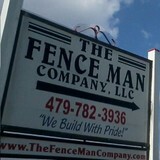 The Fence Man Company, LLC, is licensed and insured in both Arkansas and Oklahoma. We clean and stain fences, decks, pergolas, playsets, shutters, and other outdoor wood structures. Build privacy wooden fences for homes, residential, and commercial. Sales & Repair For 21 Years, Free Estimates A brand new fence or gate will significantly improve the look and value of your home. In addition to the look and value we feel that a new fence will add privacy and value to your home or business. We believe privacy and security are important factors and we put a significant amount of thought into each new project we do to maximize these two factors. You may be interested in increasing your home’s curb appeal and making it more welcoming. Possibly you’re interested in developing an outdoor area where you can spend time with friends and family. Whatever your goal is, Signature Fence Company serving all of Northwest Arkansas including Bella Vista, Bentonville, Rogers, Springdale and Fayetteville has the experience to make sure its built right for many years of service to you. FenceCo Inc. has been family owned and operated in Northwest Arkansas for over 20 years. Whether you are purchasing for your family or a commercial business, choosing the right fence company to work with is an important decision. You can greatly improve your property by adding fencing. FenceCo’s experienced staff work with individual customers to find the best materials and designs best suited for their own specific needs. Other local fence companies don’t have anything on us when it comes to being the best. From custom installations to traditional wood picket fences, our experienced installers combine knowledge with the highest quality craftsmanship. Modern Fence Company is a Commercial and Residential Fence Company that specializes in all types of fencing. Our current products include, Chain Link Fencing, Wood Fencing, Ornamental Iron Fencing, Vinyl Fencing, Dog Kennels and Specialty Gates. 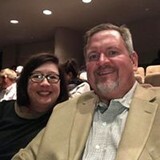 Northwest Fence Company was opened in 1988 by Arkansas native Don Voyles. Don's experience in fence building now exceeds 40 years. This privately owned company offers quality service at highly competitive prices. We offer a wide variety of services for your ultimate convenience. Whether you need automatic gates, commercial security systems or ornamental metal and chain link products, we are the company that will meet your demands. Do not hesitate to turn to us, and we will make sure you receive the quality you are paying for. You can even rely on us to provide you with a high quality fence repair service. We are sure to provide you with customer satisfaction, regardless of the job at hand. Southwest Fence Co Inc is a Fort Smith AR based company that works at competitive rates, providing impeccable services as a fencing company. We are the right choice for everyone who needs to rely on an experienced company. Call us today to work with a company that has over 45 years of experience in this line of work! 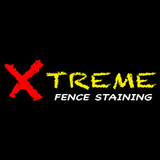 We clean and stain fences, decks and Pergolas. We restore your fence to better than its original beauty. We also do fence and gate repair. Your Fayetteville, AR fence installation and repair professional will work with you to create your ideal fence. Fence installation or replacement. If you are in the market for a brand new fence, a contractor’s services will include walking you through various fence styles and materials, determining a suitable height, ensuring that all fence designs and plans are compliant with Arkansas building codes, and that the fencing meets both your stylistic and security needs as the homeowner. Fences and gates must complement the grade of your property as well as the type of soil you have, so the contractor should always plan around these considerations. Additionally, if you don’t know exactly where your property lines are, he or she can commission a survey for you. Find a fence contractor in Fayetteville, AR on Houzz. Narrow your search in the Professionals section of the website to Fayetteville, AR fence contractors. 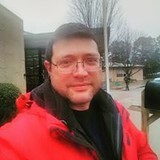 You can also look through Fayetteville, AR photos to find examples of fencing and gates that you like, then contact the professional who worked on them.